I was just finishing up work on a newly redesigned website for a client when I noticed it. “It” was a freshly published negative review on Google Maps from some guy who claimed my client had failed to follow up with him. Looking at the dates involved, I knew my client had just moved into a new office and that things got a bit jumbled up during the move. It was unfortunate that some things like this guy’s appointment fell through the cracks. However the reviewer, Paul M. felt that he had been personally disrespected or insulted in some way. And he was pissed enough about it to declare, “I would have not confidence they would do a good job if we hired them. Avoid”. A bit harsh (and over the top) for something that never actually cost this man anything except for a little bit frustration. …in the pit of your stomach. When you see it, you end staring at your computer screen in shocked disbelief. You don’t understand what could you have ever done to make this person so angry — that they would try to hurt you or harm your business in such a public way? …People feel justified in conducting remote public ambushes and making whiny attacks against you if they feel unhappy or displeased with you, for whatever reason. But this type of thing is not really anything new. It is simply old fashioned “word-of-mouth”. Word-of-mouth is considered to be good advertising (when it’s positive) but only spiteful “gossip” (when it’s negative). Except now, instead of word-of-mouth being just a case of people b***hing and moaning over the backyard fence, their opinions can be seen by anyone online. Why do you need to respond to a bad review? So, I told my client about this and sent him the steps below to address this all too common problem. …Your future customers (online searchers) have grown to trust Google and other online review sites to “recommend” the better shops and services to visit or do business with in a particular area. So when they see a negative (1 or 2 stars) review attached to your Google listing, they take it fairly seriously. Unfortunately, this means you have too. You just can’t ignore a bad review in hopes that it will go away on it’s someday. In fact, ignoring a negative review can actually make things worse. This is because surveys have proven that 8 out of 10 consumers (our future customers or clients) say that they seek out and read online reviews about local businesses near them. “Consulting reviews is now a logical step in the purchasing cycle for all types of products and services. The increased quantity and availability of reviews makes the selection process easy for consumers. So responding or replying to a negative review is very important because you’re not just talking to just the one person who wrote the review. Since your remarks are public, you’re also speaking to anyone who happens to read the review, which includes any prospective buyers who happen to stumble across it. Responding to a review is your chance to do the right thing. Now, if the reviewer had come to you face-to-face with a comment, problem or complaint, you would have tried to make things right, wouldn’t you? Well, responding to a bad review online is exactly the same thing even if the web can make such public criticisms seem random or impersonal. Think of yourself as just trying to make things square between you and someone who had gotten upset with you whether it be online or off. Plus responding proves to other people who might read the bad review that you are NOT shady or hateful or neglectful. And that you do take your business reputation and your customers seriously…and that you have taken steps to fix the problem or turn things around so that this issue won’t happen to the next customer. Research – Investigate the situation. First, find out who the reviewer is and what they are actually complaining about. Investigate the situation: did you make a mistake? Or your staff drop the ball and this person does have a legit complaint? Or is this person just an online crank/or even a hired gun who is PAID to post a bad review? 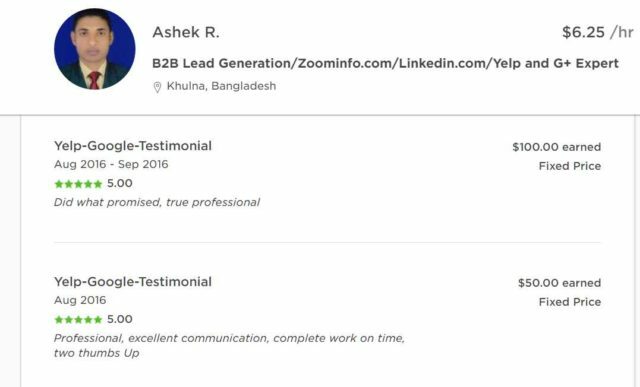 Yes, anyone can easily hire people like the nice young man listed below to go on various review sites to post fake “testimonials”. Is a bad review about you or business really part of a smear campaign? If so then you do have some legal recourse to get it removed. You have to visit the review site where it is posted and check their removal/reporting policies. Respond – Do NOT ignore a bad review – ever. Okay, now if the review is legit (posted by a disgruntled customer) you need to reply. People who don’t know you or your business and who haven’t taken the time to visit your website just might believe the “reviewer” over you. This means by not taking some kind of action makes you look shady or guilty of “something”. So most people who have read an online review will give it and a complete stranger as much credibility as they would any direct referrals they get from family and friends. I’ll show you the best way to write a response later on. But the next step is critical. 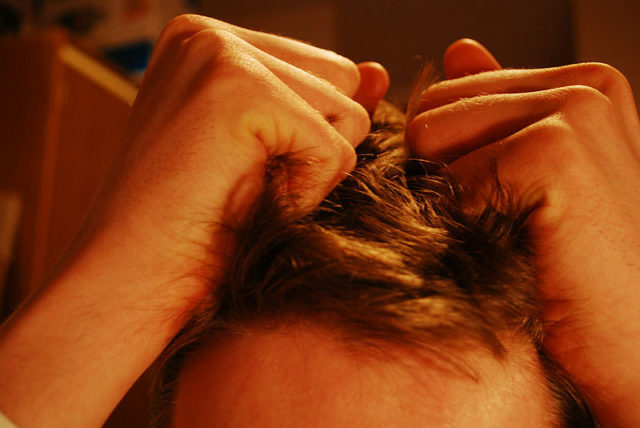 Restrain – Do NOT respond to reviews while you are angry. Yes, if you are innocent (never worked for or sold this person anything) you are going to be justifiably pissed off. Why, who could blame you? But I can not put it to you more strongly…don’t let your emotions get the better of you. Wait to calm down or let cooler heads prevail and have them write a response for you, instead! Reframe – Explain your side of the story. Turn the tables on any negative reviewers by going high when they go low. Rule #1 – Place the customer’s need above your own. Now first I want to talk about what I like to call the Acknowledgement response. We have all seen this kind of response especially coming from big, impersonal corporations. 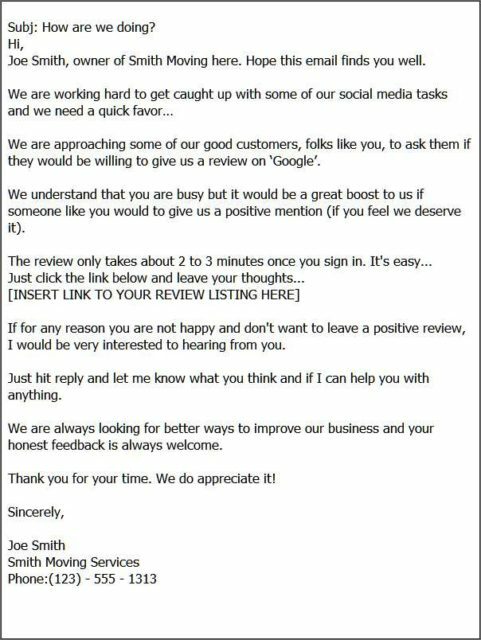 This type of response says nothing special, but it does acknowledge that you the business owner have seen their online review. Yes, this type of response means you should shallow your pride and try to empathize with the reviewer’s viewpoint. And yes, we ALL know that the your customers are NOT always right, but they are always the ones with the money. Now notice I used the “I” pronoun three times in the above example. Just using this simple yet powerful little word, lets people know that you are taking personal responsibility and that you are actually going to try and fix things. “We are sorry you have had a bad experience with us. We’ve been in business since 2005, and during that time we’ve worked with many happy clients, so naturally we regret that we missed the mark with you. Rule #2 – Offer explanations, not excuses. “I am very sorry that you had a bad experience and that I had to learn about it via [review site] however, during the time that you contacted our office, we were a bit short-handed (due to a family emergency). “I’m sorry you had a bad experience with one of my employees and that I had to learn about it via [review site]. Frankly, this person is going through some difficult transitions in their life at this time, and is easily upset. Of course this is no excuse for rude behavior. But what if you think the review is full of misinformation (lies) or is a case of mistaken identity (the reviewer has you confused with another business – don’t laugh it happens). “I am very sorry that you had a bad experience during your visit to [city name], however, we have don’t have an employee named “Susie”. Rule#3 – Remember you need to keep your reply (sorta) short and polite. Google have a max character limit of 4,000 characters when leaving a reply or response to review. The last example above was about 331 characters. So while it is very tempting to fall into a long rant – whatever you write has to be under 4000 characters or it will not be publicly displayed. Not to mention being snarky and shaming the reviewer almost aways backfires. Since you are not the late, great Don Rickles, the Merciless ‘Merchant Of Venom,’ using insult-humor can be very, very problematic and might end up dragging you into an internet troll fight. Just respond as professionally as you can and move on. “I am sorry that you had a bad experience and that I had to learn about it via [review site]. As we explained in our phone conversation with your wife, during the confusion of moving into a new office we misfiled your paperwork and so missed our appointment with you. Now this response while accepting blame for the missed appointment does throw a little dirt back on the reviewer. This line implies that the reviewer didn’t really try to contact the business owner back to fix their issue (which they didn’t). Instead this particular reviewer just raced online to bag some more ‘brownie points’ for slapping up another Google review as a “local guide”. Say we rewrote just one sentence. Capitalizing the “NEVER” and adding “from either of you…until now” implies that the reviewer should have called back. Not to mention the sentence is a bit sarcastic than most people are comfortable with (so sue me…I’m a bit snarky in real life). However this often, backfires because it is pushing blame/shame onto the reviewer and most online readers will feel more compassion for the poor, put-upon reviewer than for you the evil, small business owner. After all, we as consumers we all been been victimized and mistreated by crappy companies before. You always want play the role of the humble but honest small business hero in your responses. After all you didn’t do anything wrong or evil…did you? Revenge – Your best defense is a review-getting campaign. It is natural to want to defend yourself. And the best way to fight back against a bad review is to … ask your customers and loyal supporter for even more reviews! Unlike Facebook, Google uses a lot of fancy math algorithms to ‘guess-timate’ what your star average would be IF your business had a lot more reviews than it currently does (think hundreds). 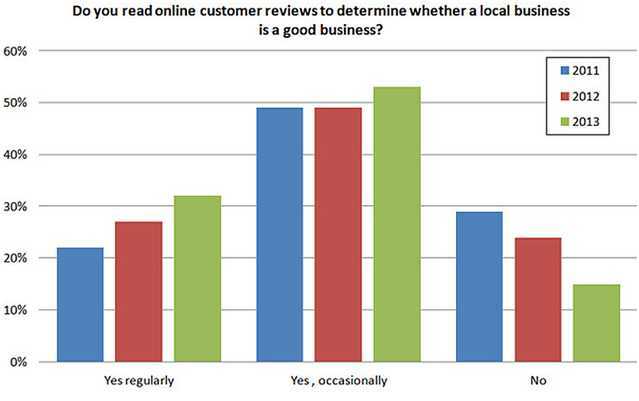 This is because most small, local businesses usually only get a handful of reviews. And Google understands that a certain number of positive reviews might have been “planted” by your well-meaning friends and relatives — and not by real customers. So Google appears to give more “weight” to bad/negative reviews than it does good ones, in this case. After all, you momma is not going to talk bad about you, is she? Basically, this means once your “Google My Business” listing gets certain number of reviews, Google seems to have more confidence in the data concerning your listing and will (eventually) change its review ratings according. In my experience, it seems to like you need to 10+ positive reviews (4 or 5 stars) to offset any 1 negative review (1 or 2 stars). But the catch-22 of using fire to fight fire is that IF you are having bad internal issues (bad scheduling, overbooking, rude employees, or crappy products) asking for more reviews will only make your review situation worst. Remember the old saying, “Good marketing can kill a bad business”. So make certain that you have any major customer service issues solved, before taking this last step. So how to get more reviews? Ask for them…email your customers or do direct outreach and ask them to help you out. Due to requests like this one, my client got 9 new positive reviews. These reviews and the responses detailed in the steps below which did help his Google Map rating move up from a low negative rating to a 4.1. Research – investigate the situation to see what happened. Report – Is the review “fake news” or part of a smear campaign? if so report it. Respond – Do NOT ignore a bad review – ever. Take action. Reframe – Explain your side of the story — positively. Revenge – Ask for more goog reviews to offset the bad ones. While, I don’t specialize in this type of work, if you do have a question about this kind of stuff, just drop me an email and I will try to answer it for you. Plain vs Fancy Web Design: Which one works best for a small business?